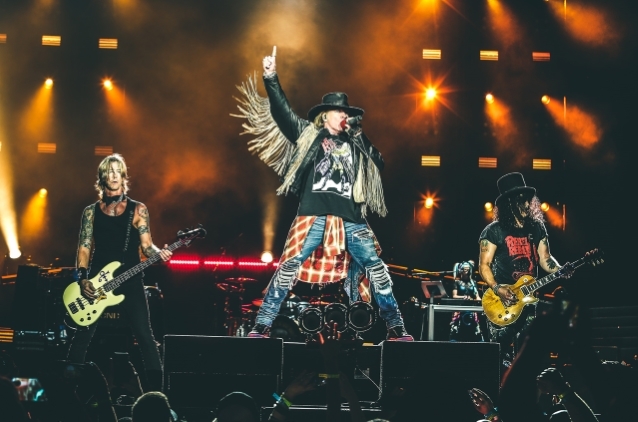 Citi is the official presale credit card of GUNS N' ROSES' "Not In This Lifetime" tour. 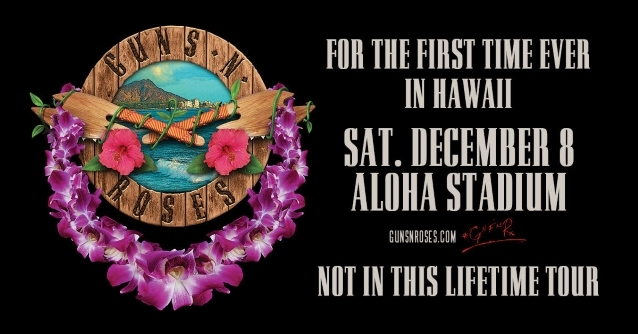 As such, Citi cardmembers will have access to purchase presale tickets beginning Monday, October 8 at 10:00 a.m. HST until Thursday, October 11 at 9:00 p.m. HST through Citi's Private Pass program. Three-fifths of the classic GUNS lineup reunited in 2016 after last performing together more than two decades earlier. The "Not In This Lifetime" tour, which is now one of the highest-grossing in music history, launched in April of that year with a nightclub gig in Los Angeles and shows no signs of stopping, with more dates booked in November.